When you’ve been brewing a booty beast since your noon burrito binge, only to have it drift away unappreciated by another pair of nostrils, you know what pain is. 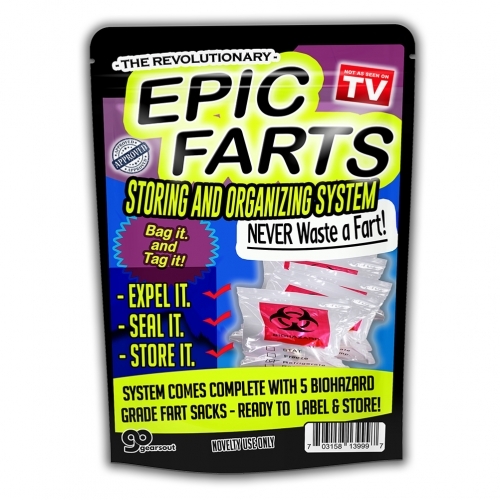 Never waste a fart again with Epic Farts Storing and Organizing System. If you’ve taken the time to produce the best, you need a revolutionary containment apparatus to keep it fresh and paint-peeling powerful. 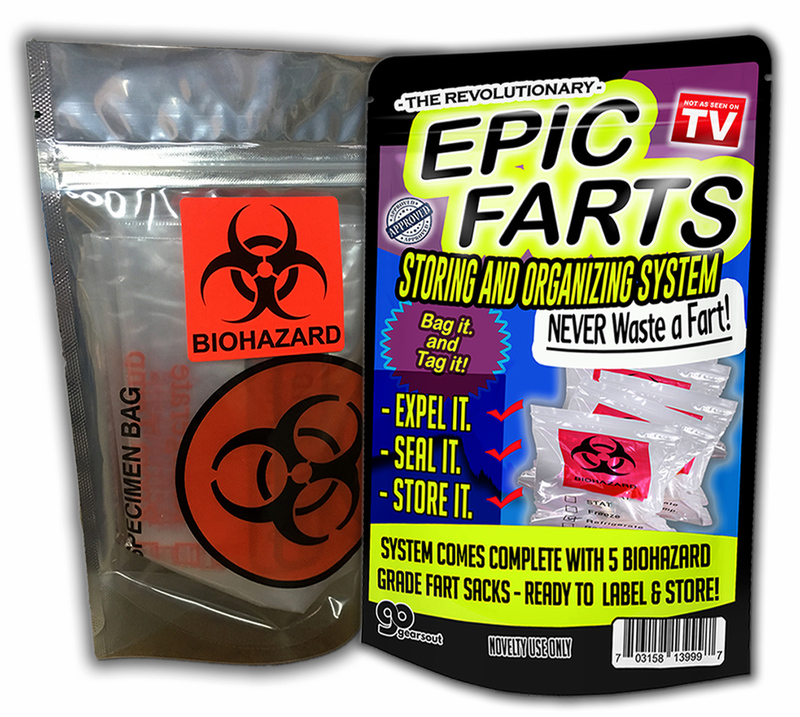 Each leak-proof specimen pack of Epic Farts Sacks contains 5 biohazard bags, so you can trap the bold beginnings of a tear-inducing collection of unique, homemade fart art! For those who pride themselves on the legendary level of stench they can emit from their seemingly ordinary butts, Epic Farts Storage Sacks are the gift of a lifetime. 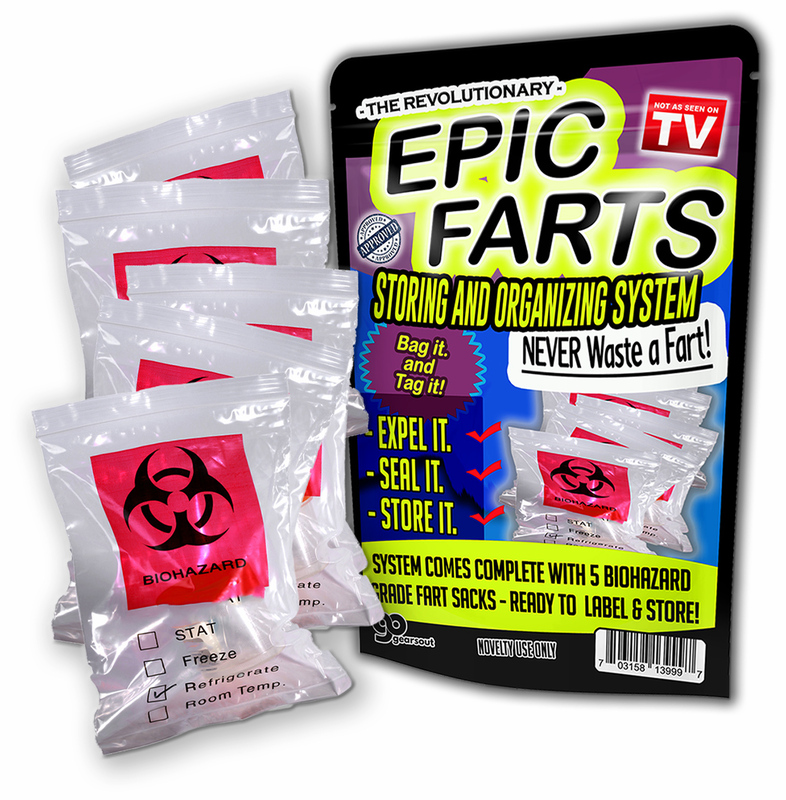 Surprise friends and family with a handy pack of Epic Farts gas bags on any gift-giving occasion. These hysterical novelty bags are perfect for birthdays, holidays, or just to put a smile on someone special’s face. Fart sacks make excellent stocking stuffers, white elephant ideas, and Secret Santa gifts, or additions to care packages and gift baskets for kids, teens, and adults.